Food Truck Face-Off turns the American phenomenon of food trucks into a team building competition, resulting in the most delicious face-off imaginable. After teams are formed and have participated in competitive large group ice breakers to “rank” them, they choose which cuisine and theme their truck will feature. All-American, Mexican, Mediterranean, Asian, Vegetarian, and “Sweet Tooth” are all on the table and up for grabs. 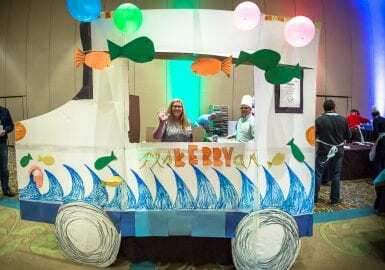 Once cuisines are chosen it's time to get to work, picking a company name, designing a logo, and building a large truck façade with cardboard, duct tape, and decorative materials. Teams also create their menus, as well as a commercial they will perform to whet their colleagues’ appetites. To test each team’s culinary creativity, specific ingredients will be provided, and suggestions for the dishes to be served, but there will be no actual recipes. In addition to creating a tasty dish, points are earned for presentation, using “food truck” materials including paper plates, paper bowls, wax paper, and the like. 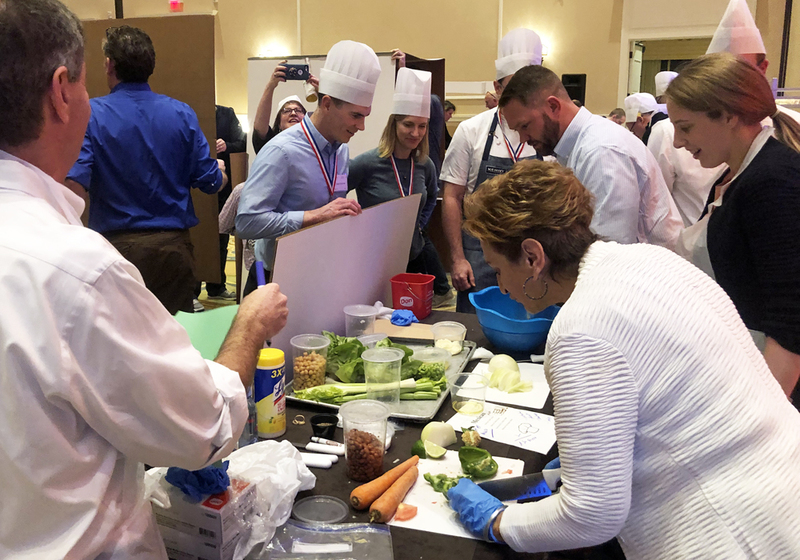 Working as a cohesive team, participants will attempt to out-cook, out-market, and out-score their competition, in an effort to win gold medals. The final stage, of course, is chowing down on these delectable delights, roaming from truck to truck, experiencing an indoor culinary road trip adventure! To ensure a great experience, aspects of this program may be modified to maximize the benefits for your group size, group makeup, time available, and other variables. Your Food Truck Face-Off lead facilitator had the room well organized and ready to start when we were. 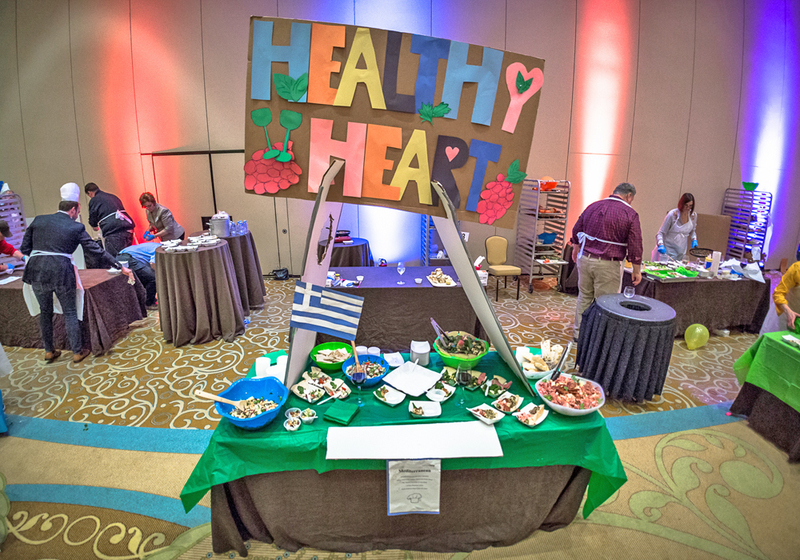 Even with 600 people, the judging was completed in time for our evening event and the medals were a great hit. Your Chef was very professional and a pleasure to work with. It was the right time to do a food truck challenge in our case because Kroger recently purchased us. Please thank the entire team that worked to make this event a success. I appreciate the long hours and hard work. Our team had a great time and enjoyed both events. The Food Truck was a huge success and that was everyone’s favorite activity. Thanks again for your assistance. 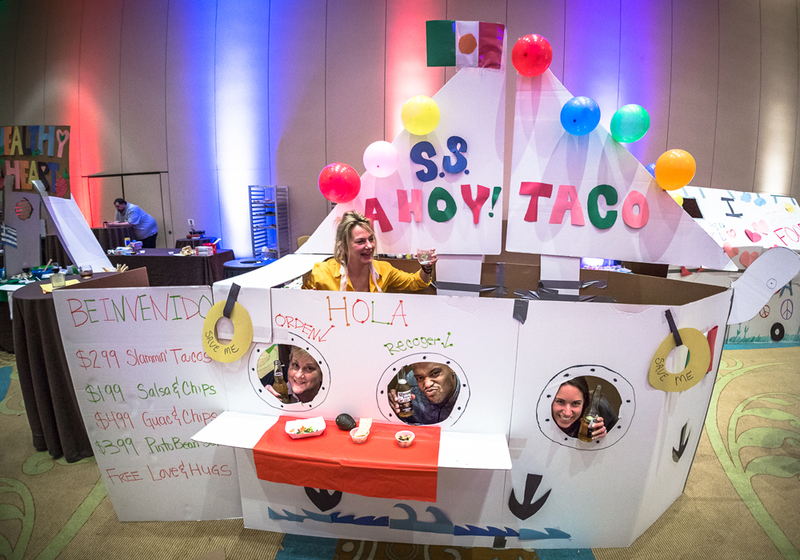 Best Corporate Events is excellent to work with and we appreciate you being able to customize the activities for our group. Have a great day! 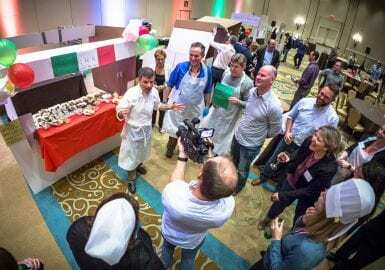 Our Food Truck Face-Off was fun and exciting! Our group really liked the energy of your chef facilitator and the ambiguity of the menu and task at hand. He did a wonderful job with our group! We can sometimes be a handful and he handled the event so well! Working with Best Corporate Events was truly a great experience. From booking the date to executing the final result, I was satisfied with the entire planning process. It was easy to get a hold of someone when I had questions, and the scheduled phone conversations were helpful. 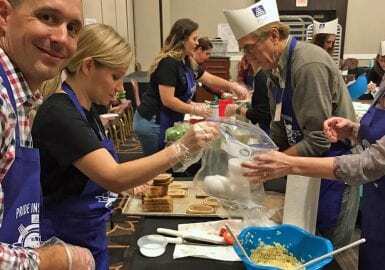 All of the employees who participated at Edwards had such a great time. We met the goals of the team building activity, which was to develop communication with other employees you don’t normally work or interact with. Edwards plans to do another team building activity next year, and we plan to go with Best Corporate Events. I can’t wait to continue this relationship and add more character to our company. Thanks to you for coordinating. Such an awesome job well done! 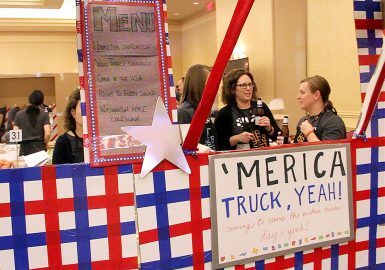 EVERYTHING at our Food Truck Face-Off was fun. Working together with other employees that we didn’t have much contact with at work really made it a great team building exercise. The event was extremely organized and our group said they had the best time. Your lead facilitator was amazing! Absolutely everything about this program was the best. Our group loved it! The whole aspect of the team building food truck part, preparing the food truck, making the food, brain storming, all of it. Our group enjoyed all the activities and your lead facilitator did an AWESOME job! Your facilitator was great and led a very organized Food Truck Face-Off. 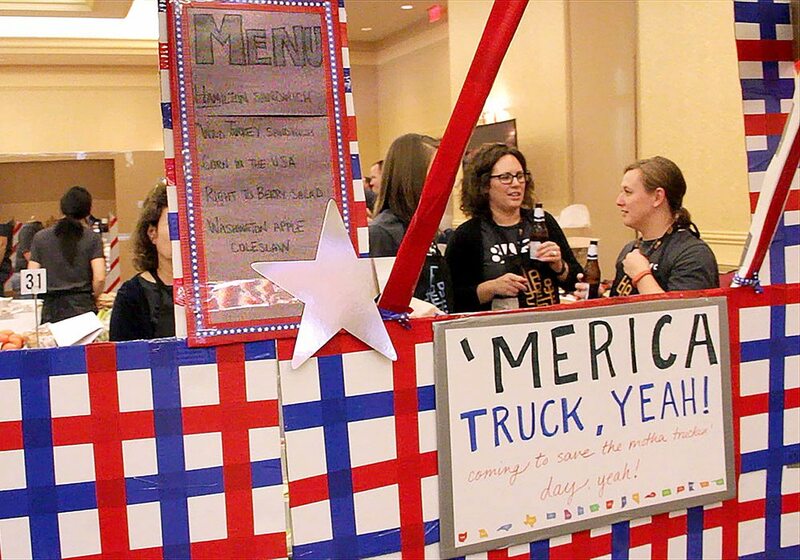 The most fun was the creative aspect of building and decorating the food truck facades. Our entire group loved the activities involved in this event. 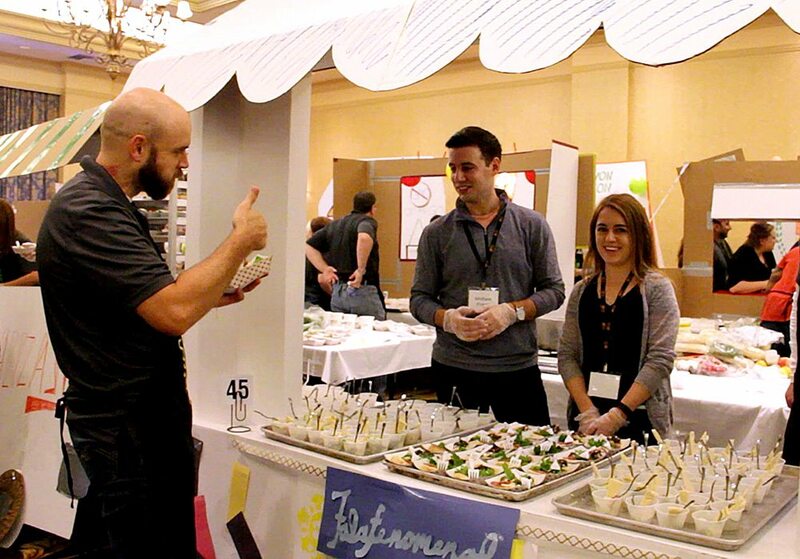 So much so, we want to do another culinary program in six months! The team reported that the facilitator enjoyed using our planning sheet - truly understood the "PRIDE" community and worked well with everyone. We want to make sure that he is the facilitator for our remaining two programs as well! 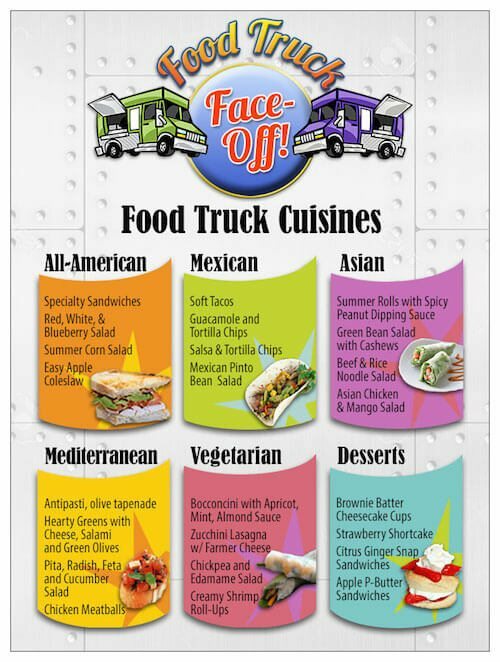 The entire Food Truck Face Off event was fun and our group definitely enjoyed it. The team building program was excellent! We had fun from start to end. Our group very much enjoyed it. Our facilitator was excellent, very engaging and professional! The actual cooking, marketing and construction aspects were great! The presentation was the best part. I really received great feedback! Our facilitator had high energy, very engaging and easy to work with. 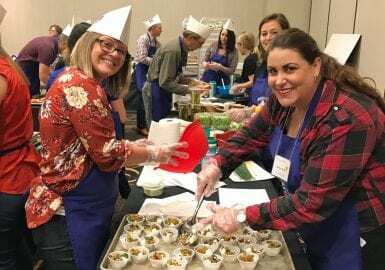 Pricing varies depending upon the number of participants (minimum of 30) and includes the program design, facilitators, master of ceremonies, spices, knives, spoons, bowls, cutting boards, pots, burners, team packets, award medals, and complete event coordination. Client covers the cost of the ingredients, as provided by the venue.